Hope you're all doing well! Happy October! Just to let you know what is happening with the bags and books. I have to say, just from my experience so far with this company, they have been amazing. I had to cancel my order twice. First time, I forgot to order the book. Second time, I forgot to include the label. Third time, I got it all right! LOL! The one thing that really surprised me, was when I had to cancel the second time, there was no answer on the phone, and they don't have an answering machine. I actually, got a phone call back from them in a half an hour, asking if everything was alright, because they saw my number on the call display. I really thought that was great! Now, I'm out of my "spray" that I use on my art, for the finishing touch. I can't get the spray from Michael's. I order it from another art store. They are out of it too. So, hopefully they get it in soon!! I have started another painting, but it's not finished yet! Here are some progress pictures! I've also been playing around with this one. 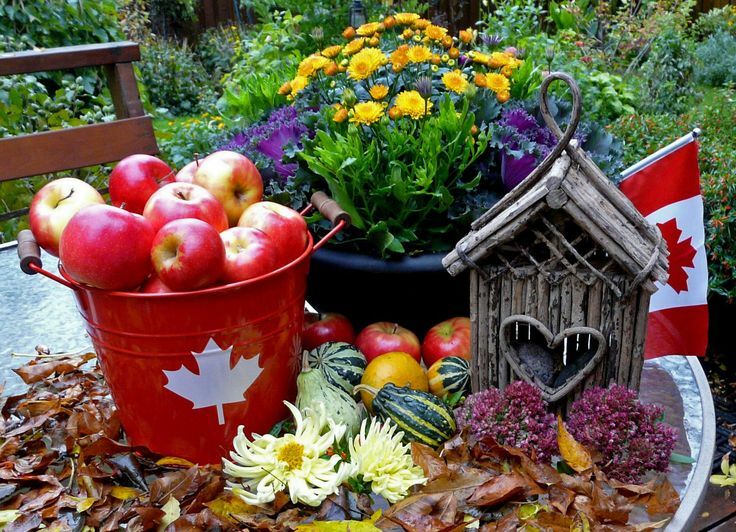 This coming Monday, October 9th, is Canadian Thanksgiving. We have family arriving on Friday. Just in case I don't make another post, I want to wish everyone in Canada a very happy Thanksgiving! HAPPY OCTOBER to you, dear Stacy!!! I can only imagine what a learning experience this has been for you but I think it is WONDERFUL!!! And, I can't wait to see the bags when you get them in! How exciting for you to see your new products. I'm eagerfor your show and tell! Looking forward to seeing how they come out. After looking through everything last week, I want to order a book once you check out the goods. The company sounds great, Stacy, and I look forward to seeing everything! I love your art, and the photo is beautiful! Love and big hugs, dear friend. That's some great customer service. Both paintings are great. The second one would make a great Christmas card. Oh yes, I can see that being a Christmas Card as well, especially with the tree in the background. Your paintings are so wonderful and so you, my sweet friend. I wish you success with your new venture... it's so exciting! Happy Thanksgiving Canada and to you and your family especially Stacy!!! Looking forward to seeing the bag and book. Have a very, happy Thanksgiving. Well then, an advance Happy Thanksgiving to you Stacy! ENJOY!!! Cannot wait to see the bag and the book when they come in. Have a wonderful week and enjoy the holiday vibes. :) Love the in progress work too. Big Crow Hugs! Great idea buying a sample book and bag first. I look forward to seeing them! The new pieces are looking fabulous. :) Happy Thanksgiving Stacy!!! I hope you get your spray soon. Your artwork is amazing. It's very symbolic! Happy Canadian Thanksgiving to you, Stacy! I hope that you have a great time with your family! I love both of your new paintings. The baby crows in the snow are darling! Sending you big warm hugs! I am excited to hear how the bag and book turn out. Your paintings are amazing. Thanks for sharing! Happy Thanksgiving! Hope your spray arrives soon. And your artwork just gets better and better...Sweetie, you are an artistic genius...truly!! I'm also looking forward to seeing your new products, it all sounds exciting. And your art inspires, always. Wishing you a wonderful Thanksgiving in advance. Big Hugs! You found something rare in these times...excellent customer service. Happy Thanksgiving! I need to admit something. You've been making me want to paint crows. I already wanted to befriend them but now...I'm not artistically talented, man! First off - hope your thanksgiving day is great. I always enjoy seeing what you have in progress or have finished - always love your crows. Hope your order comes through fine and will be looking forward to seeing it. You've been very busy, haven't you? I'm so glad you are having such a great experience with the company. Can't wait to see the bag and book show and tell. Love the paintings! Glad your third order was done finally Stacy! The painting you are working on is looking absolutely Awesome!!! i am sure it's final touch make will make it enchanting piece of art. best wishes for you family gathering for thanksgiving day dear! Oh I love the new paintings, they're beautiful! It sounds like the company is really nice. I hope you have a wonderful Thanksgiving! Happy Thanksgiving, Beautiful Light Being!!! I love your works in progress. Hugs!!! Does sound a good company.